Those who ever grumbled about taxi and its services, the waiting time, the cost, etc, forget it. Ignore standing on the bollard, whining for those taxi rides which never appear. Forget standing on empty streets waiting for some taxi to get back to your home on those rainy nights. For you, Uber has brought the solution and helped you to chuck the disappointment with its Uber app on your smartphone. Wherever, whenever you want, the driver will come to you and will offer a smooth and convenient service back to your door. Just as convenient as travelling in your own car. Launched in San Francisco in 2010, it initially enabled its users to order taxi rides via mobile app, a smart car to get them wherever they want. And yes, not to forget the payment which is done via credit card, wherein the driver keeps somewhere around 70%-80% of the fare and the remainder is for Uber. Indeed!!! Indeed they brought the revolution in the ‘Taxi Industry’. 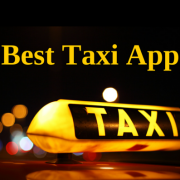 These apps have undoubtedly increased the size of the market for taxi and car services. Taxi apps have become a rising topic in tech industry, not only among users, but among investors and entrepreneurs also. 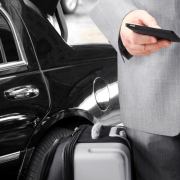 Companies have come up with taxi apps like ‘Hailo, Lyft, Side.cr’ etc. They have built a remarkable momentum for ordering rides in the market with such apps and made the lives easier in terms of ‘connectivity, secure payment, reaching out to your closest drivers without any delay, so and so forth’. They have also created the first on demand, real time delivery platform. Following Uber, Hailo, Lyft and Side.cr there are other apps like TruTaxi which seems to be a promising taxi app. Entrepreneurs are coming up with more taxi apps to embrace this revolution which was once brought by Uber.